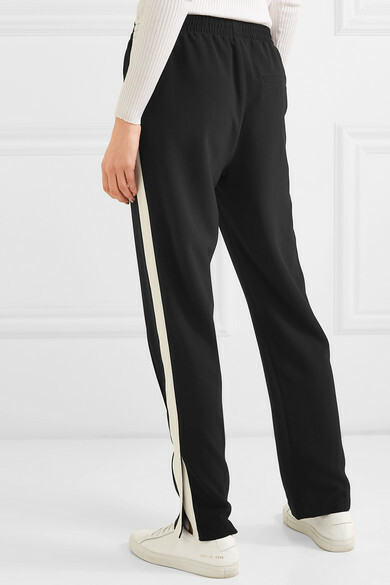 rag & bone's 'Ryan' track pants have a cool, sporty feel but are still smart enough to wear with a blazer. 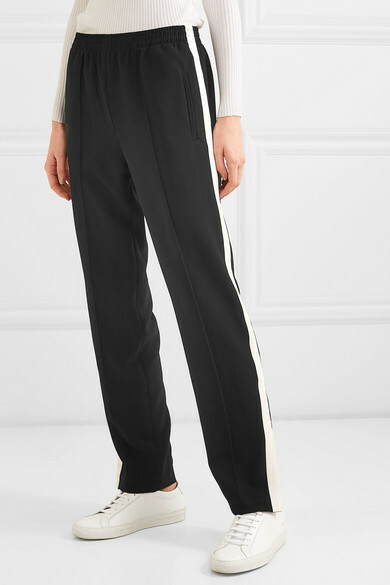 Cut from crepe woven with stretch for flexibility, this pair has graphic cream side stripes and a comfy elasticated waistband. 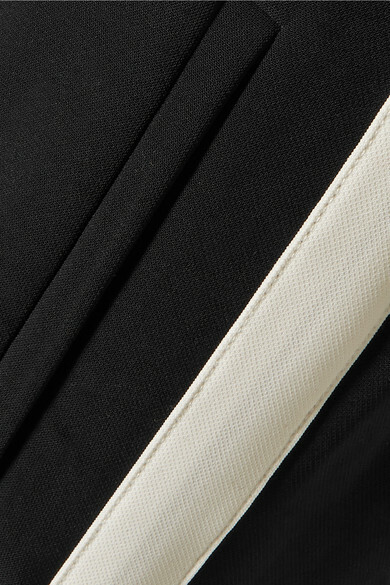 The split cuffs will drape neatly over high-tops or strappy sandals. 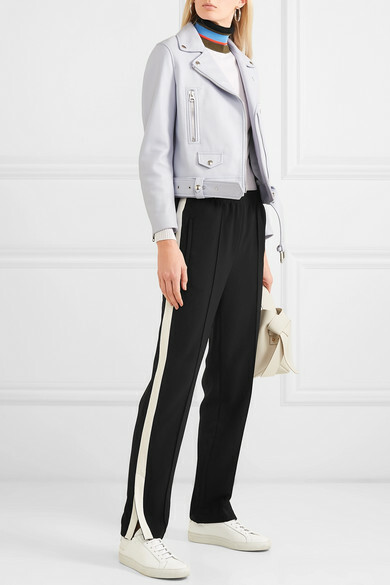 Shown here with: Proenza Schouler Sweater, Acne Studios Biker jacket, Acne Studios Shoulder bag, Common Projects Sneakers, Jennifer Fisher Earrings.